Model #90B-WB provides powerful shining buffers - and holds your polishing supplies! 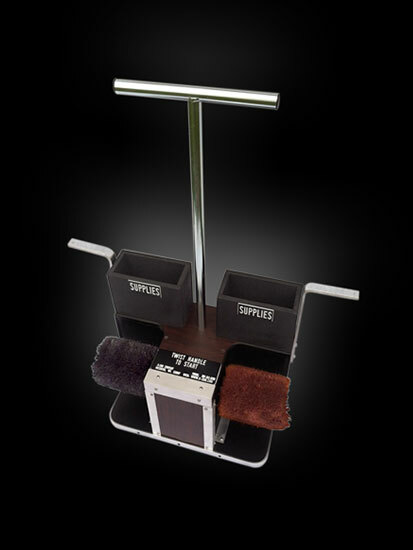 With a simple twist of the T-Handle, thick cotton brushes rotate to give your shoes a professional shine. Attach foot rests to the sides of the cabinet for additional users.